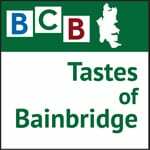 Listen here as Bainbridge chef Kerrie Sanson explains her passion about preserving food! Growing up on a chicken ranch in Southern California, professionally trained chemist Kerrie Sanson has always had a connection with food. Eventually she found her way into catering, getting experience with creative food preparation, and when she moved to Bainbridge Island 24 years ago she helped establish local kitchens and food service programs. Initially she worked at Islandwood, then later moved to Restaurant Marche, where she greatly expanded her food horizons. More recently she has served as the creative food chef and kitchen director at Heyday Farms. In this podcast BCB host Bob Ross talks with Chef Kerrie about her new venture, PRESERVE, and some of the processes she uses to create unique and exciting new combinations of small batch preserved foods. 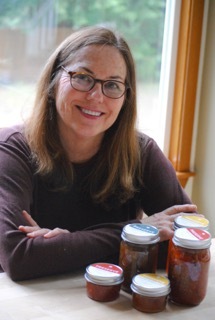 She specializes in jams and marmalades she creates using locally grown onions, cherries and cranberries as well as Washington State oranges. 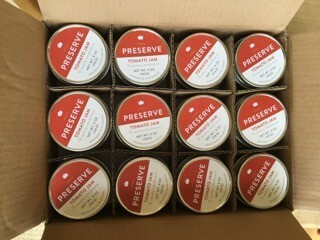 Her approach is to develop preserves that can best be used as condiments to pair with meats, cheeses and various breads. Kerrie’s PRESERVE products can be found at Bay Hay & Feed in Rolling Bay, and will soon be available on Saturday mornings at the Bainbridge Island Farmers Market, where she will have a booth through the season. Credits: BCB host: Bob Ross; audio tech and editor: Chris Walker; social media publisher: Diane Walker.